As everyone already knows, I live in Hawaii. It’s beautiful and awesome, but getting things can be difficult. Recently I wanted some headbands for a project, but all I could find was super wide ones for about $5 each, which seems a bit much for a plain plastic headband. I got on Amazon and ordered some headbands and, admittedly, I didn’t break out my ruler…so they’re a little narrower than I’d imagined. I knew they’d be narrow, just not quite this narrow. 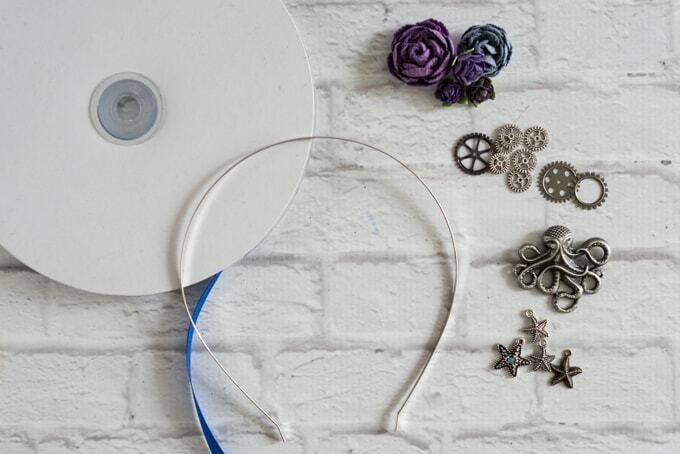 If you’ve ever tried wrapping a very narrow headband in ribbon, you know it can get a bit tricky! 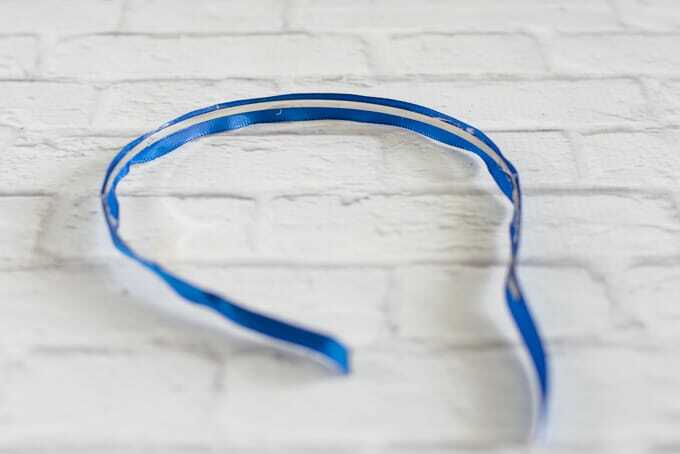 I experimented a bit and found a way to make it work, so I decided to share how to make a simple decorated headband in a way that’s especially helpful for narrow headbands. 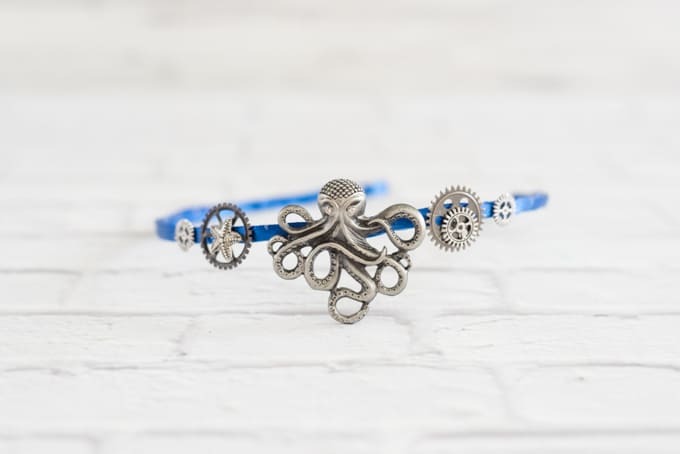 I went with a steampunk theme because I have lots of appropriate goodies thanks to my Mainland craft store run in September, but you can make this any theme you’d like! 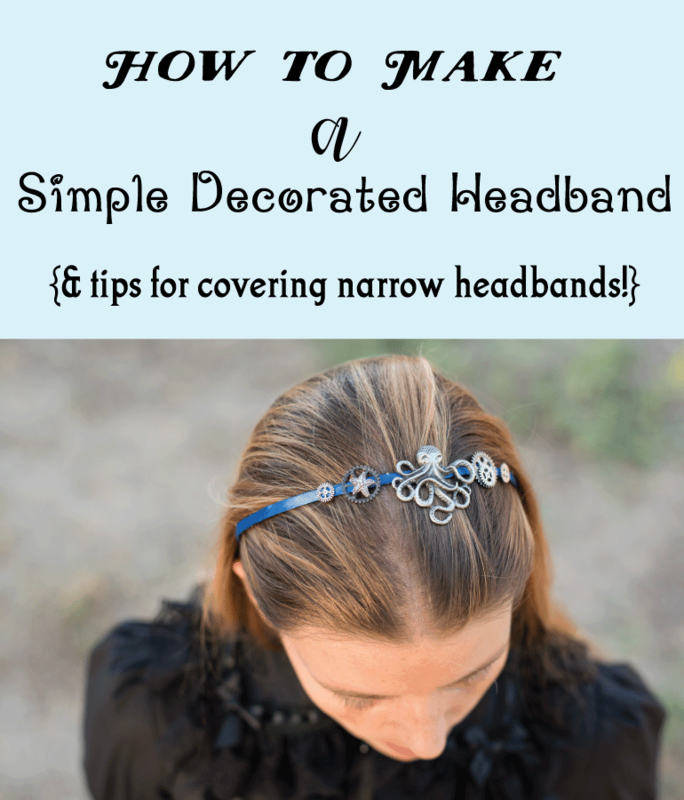 The headband decorating tips in this tutorial will help you create an attractive piece, no matter your theme. 1. 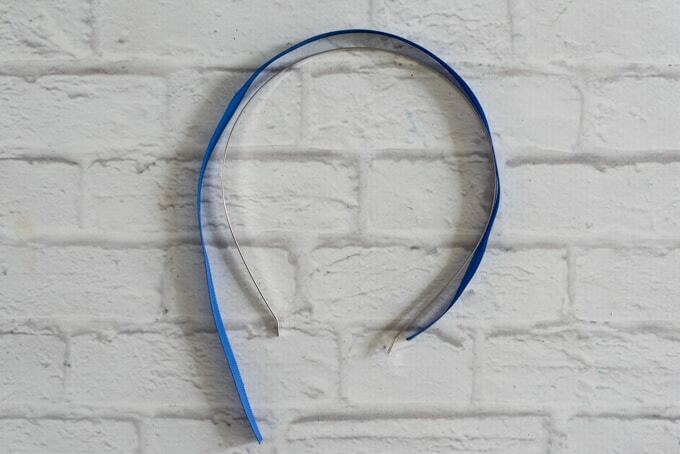 Cut a piece of ribbon so it’s slightly longer than the outside of your headband. 2. Carefully singe one end of the ribbon to prevent it from fraying, or use an anti-fraying product. 3. 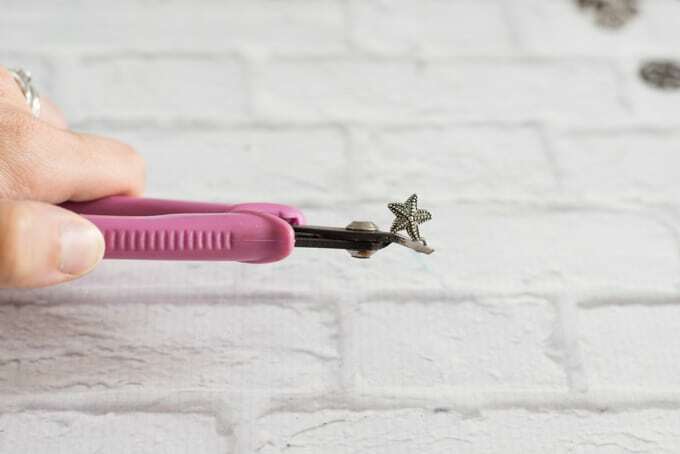 Fold the ribbon in half and crease it with your thumbnail. The is optional, but helpful! 5. 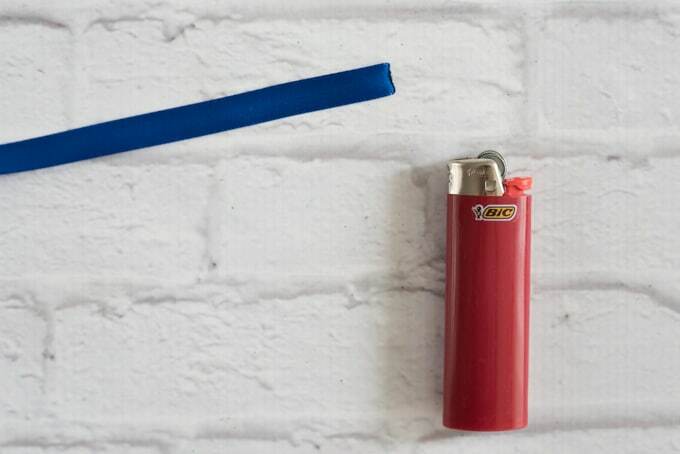 Align the singed end with one end of the headband. 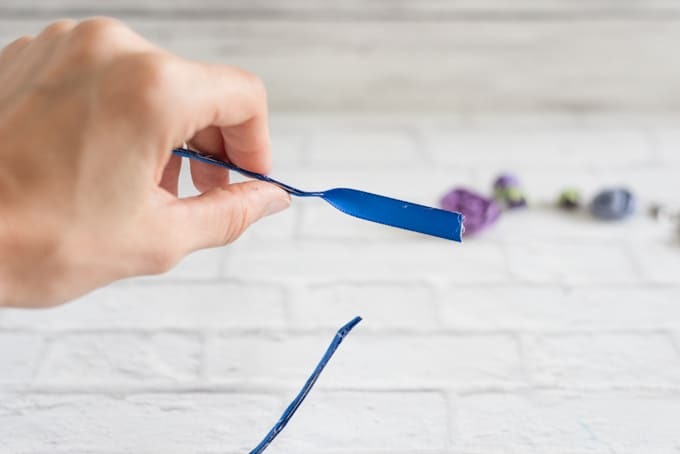 Apply a thin bead of hot glue to about 1″ of one side of the headband, then press the ribbon in place, trying to run ribbon’s edge along the edge of the headband. Because the 5/8″ ribbon is slightly wider than twice the headband’s width, I let the ribbon stick out ever so slightly. Paying attention to the crease, if you made it, can help you keep the ribbon lined up correctly. 7. 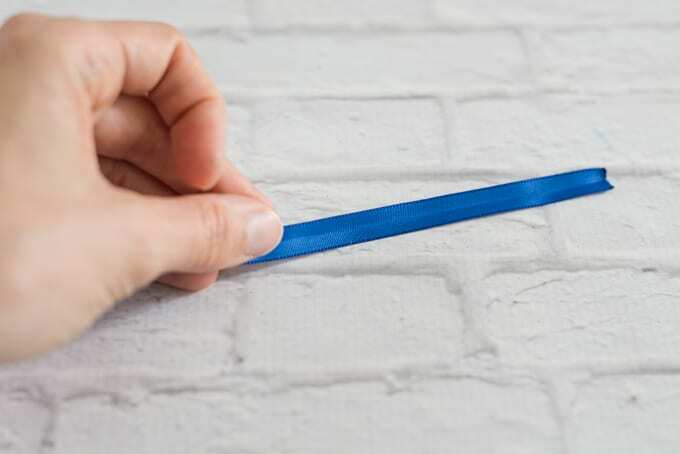 Once you get all the way to the end, start back at the singed end of the ribbon and repeat the process, this time gluing the other half of the ribbon in place. 8. 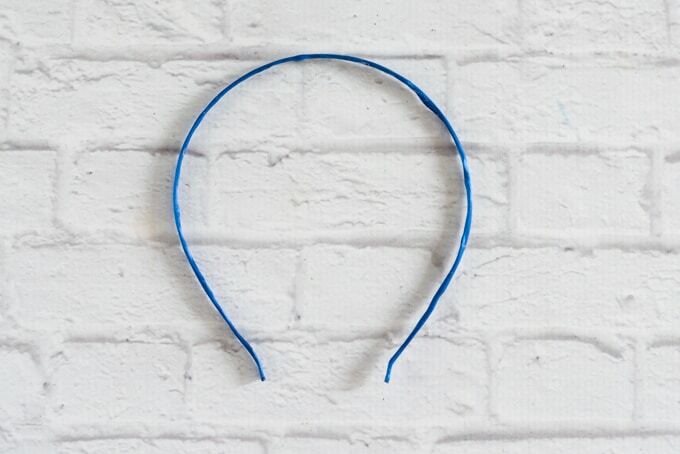 Carefully cut the ribbon so it is just a hair longer than the headband, then singe the ribbon to prevent fraying. 9. 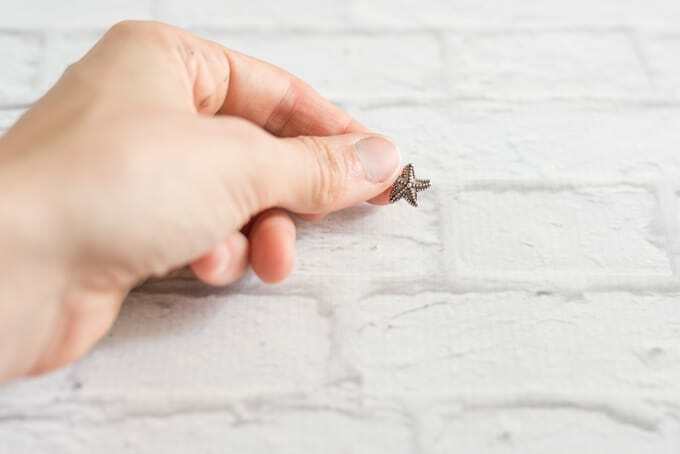 Now you’re ready to get decorating! I highly recommend a “dry fit” of the elements you plan to use in order to see how everything looks and check positioning before gluing it all down. 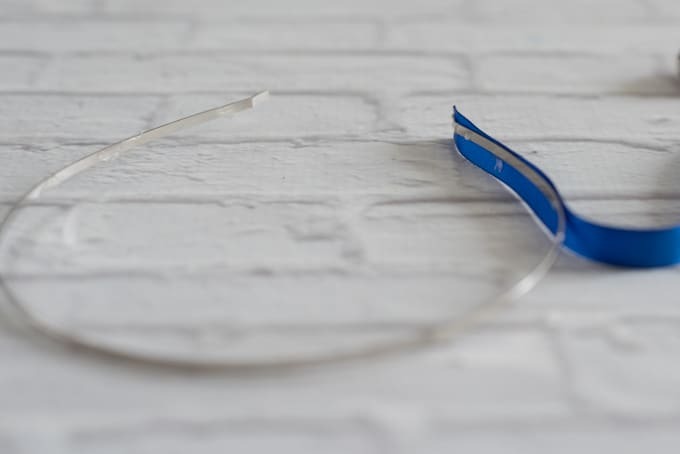 The decorative elements do not need to be symmetrical or smack in the middle of the headband. In fact, I love having the items more on one side or the other instead of right in the center! 11. Apply each finding with hot glue. Make sure to use enough that the item will stay in place, but not so much that the hot glue squishes out everywhere and looks funky! 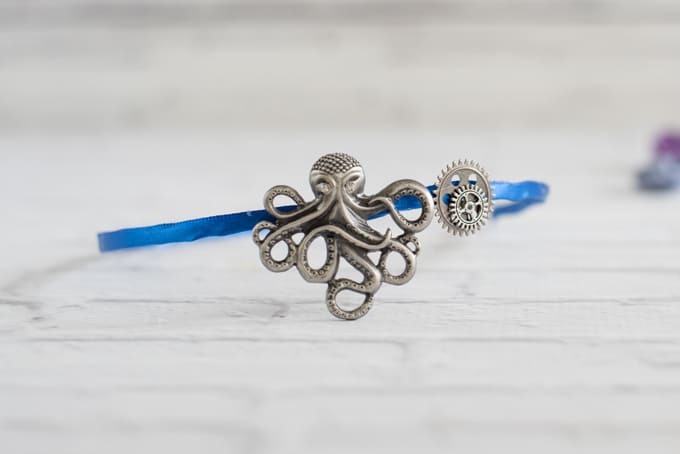 Even though my headband is steampunk-y, you can use this same technique to create a headband for basically any occasion or holiday. Halloween, Christmas, Valentine’s, St. Patrick’s Day, or just any day you want to wear something new and different! 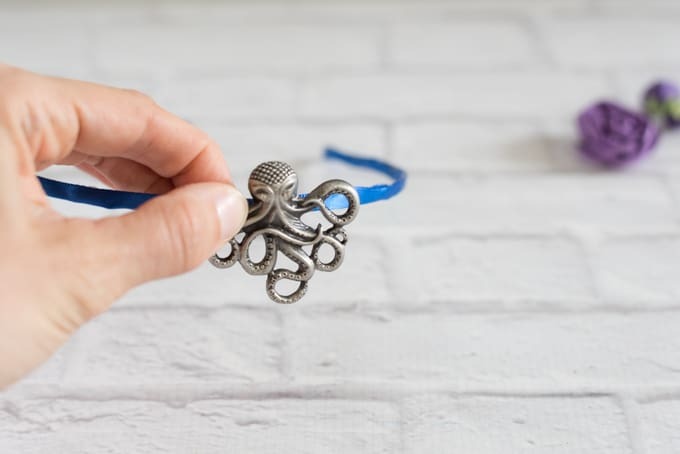 Do you ever create a piece of jewelry or adornment just for a specific occasion? Super cute!! It’s funny that you’re all about the steampunk at the moment..! The new boyfriend is potentially moving to Oamaru, NZ where there is a massive steampunk scene there! I’m so full of contradictions. I really like beachy and nautical things, but I also love sugar skulls and ‘goth’ kind of things. I guess I like steampunk because it feels like an intersection of the two!